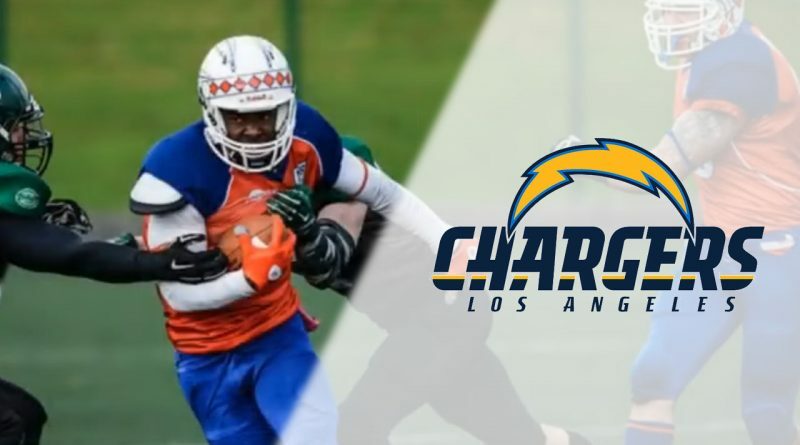 The NFL’s LA Chargers have signed former Derby Braves Scholar, Marcus Peterson, ahead of the 2018 season getting underway. The Seton Hall University Alum played for the Braves during their 16-17 Campaign, amassing incredible numbers including 71 catches for 1004 yds and 15 scores in just nine games! He went on to train with the Leicester Falcons ahead of their successful 2017 campaign, before returning to the US to play with the Iowa Barnstormers in the Indoor Football League, before signing with the Chargers this week. There will be some new faces on the field when the Chargers return to practice today as the team signed WR Marcus Peterson and CB Channing Stribling on Thursday. To make room, the team placed CB Jason Verrett and TE Austin Roberts on the Reserve/Injured list.